This sweet book is the perfect bedtime reading to lull children into sleep. 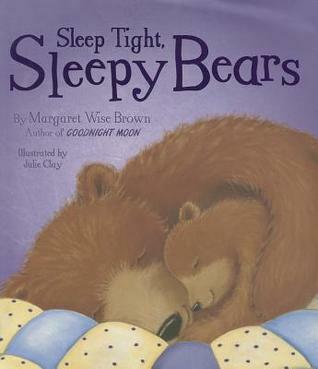 With its repetitive prose and soft illustrations, it’s sure to have you yawning and ready for a good night’s sleep. As a sleepy big bear and a sleepy little bear prepare for bed, they snuggle under the covers, sing a gentle lullaby, and drift off to dreamland. The soft and warm illustrations are delightful, with light colors and fuzzy brush strokes that invite the reader to give a little stretch and yawn a big yawn before crawling into bed. I can’t wait to read this to my niece at bedtime. I actually makes me sleepy reading it myself! haha! Disclaimer: I received a copy of this book from the publisher via Media Master Publicity in exchange for a free and honest review. All the opinions stated here are my own true thoughts, and are not influenced by anyone.